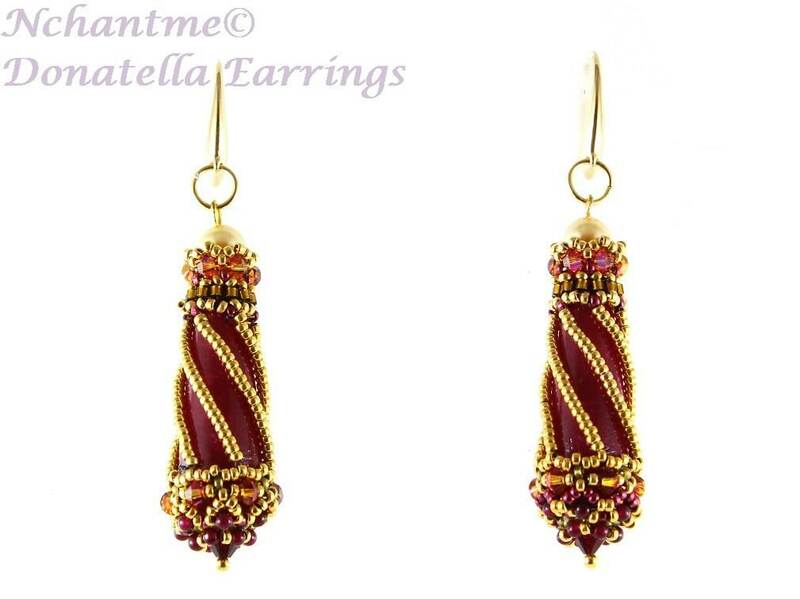 Donatella Earrings were inspired by the ‘caged beads’ of the Renaissance era. Women in gorgeous gowns wore ‘caged jewels’ as pendants or rings. Usually it was a strongly perfumed clay bead, captured in a gold cage that made life more bearable in social gatherings. Donatella Earrings feature teardrop gemstone beads, twinkling with crystal-encrusted bead cap and further embellished with gold seed beads. 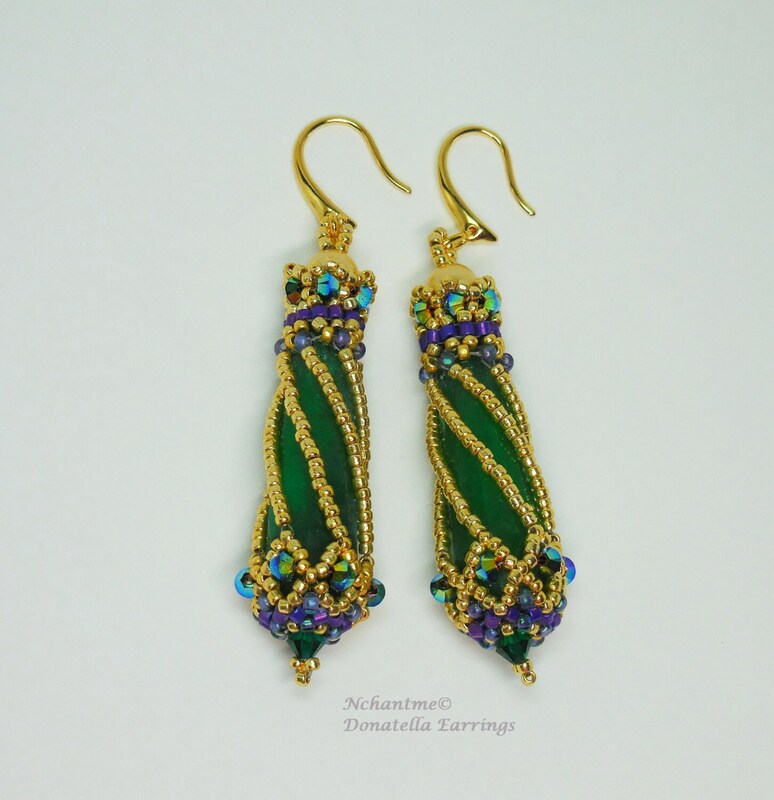 Donatella Earrings are perfect for daytime and special occasions. Finished Length: 2 ½” long. Techniques: Peyote, Ladder, Netting and other stitches. 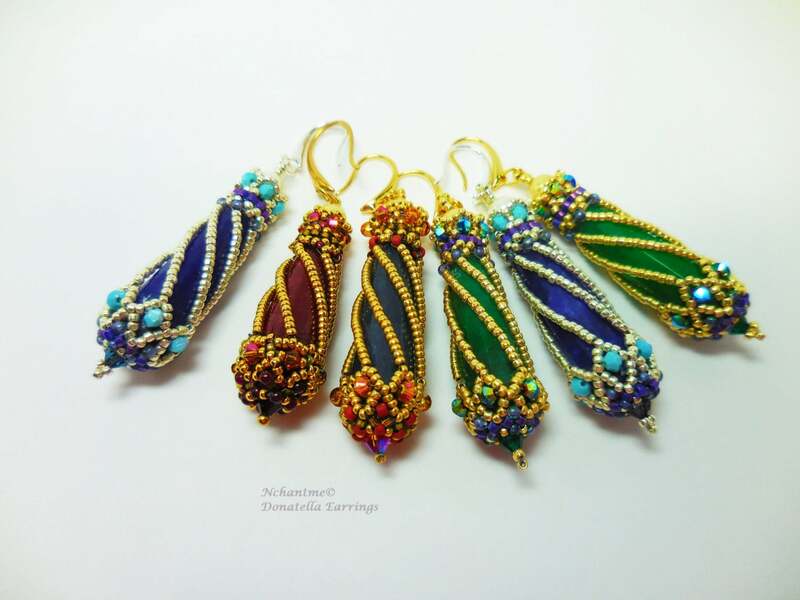 Tutorial is in English with several step-by-step illustrations and detailed text clearly explaining the process of beading this pair of earrings. Note: This project requires long tear drop beads around 28mm approx. and a small tube of glue. A full kit is also available under kits.